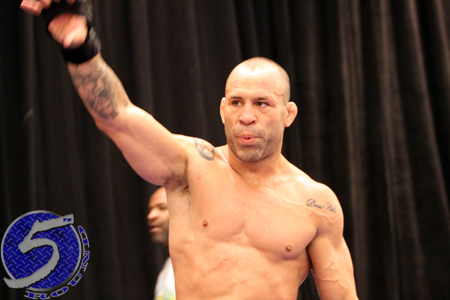 If you didn’t order Saturday’s UFC 147 pay-per-view broadcast, ESPN.com’s video highlights of the show’s featured attraction between Wanderlei Silva (Pictured) and Rich Franklin should help fill the void. Despite getting battered in the 2ndRound, Franklin managed to gather his wits and take home a unanimous decision (49-46, 49-46, 49-46) victory in hostile territory. It appeared as though “The Axe Murderer” punched himself out after trying to finish off the former middleweight champion. Franklin now holds a 2-0 lead on Silva. He previously posted a decision win at UFC 99, as well.